Jacqueline Yvonne Harry, also known as Jackée, (born August 14, 1956) is an American actress, singer, comedian, and director. She is best known for her role as Sandra Clark 227. 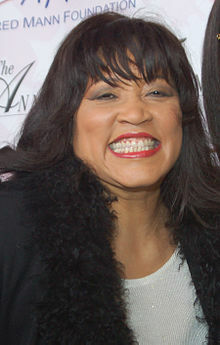 She is the first African-American to win an Emmy Award for Outstanding Supporting Actress in a Comedy Series. ↑ Fearn-Banks, Kathleen (2006). Historical dictionary of African-American television. Scarecrow Press. p. 185. ISBN 978-0-8108-5335-5. This page was last changed on 18 April 2019, at 11:34.